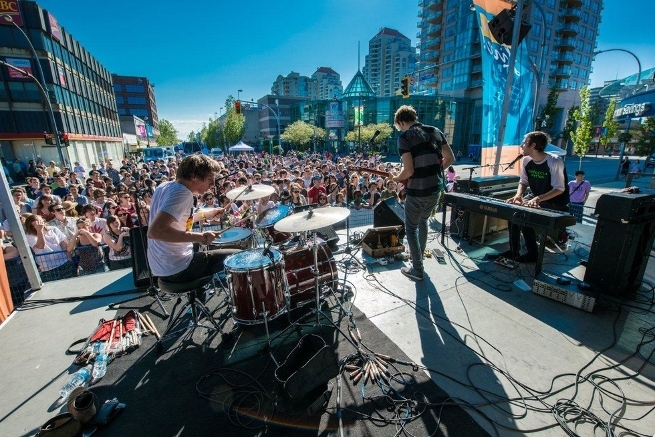 The Uptown Live Street Party returns to the streets of New Westminster on Saturday, July 21, 2018 with a full schedule of live concert performances headlined by Hey Ocean! plus the Cariboo Beer Garden, yummy food trucks, and a host of interactive exhibits and art installations. Uptown Live 2018 will feature four music stages showcasing some of the top emerging talent in BC. Uptown Live is made possible through funding support from the Uptown New Westminster Business Association, City of New Westminster, and generous corporate partners including our Presenting Sponsor – TD Bank Group, and the friendly merchants of the Westminster Centre & Royal City Centre shopping centres.